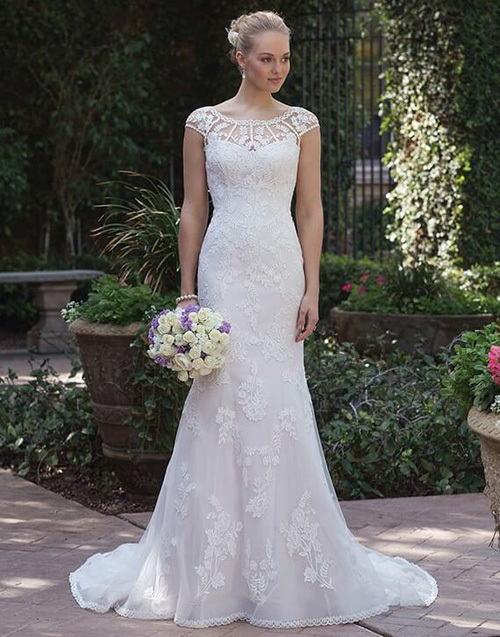 A gorgeous fit and flare skirt wedding dress adorned with Venice lace and appliqués. It has an illusion Sabrina neckline and illusion back. Finished with a scalloped trim lace. Beautifully finished with button all the way down the back of the dress.